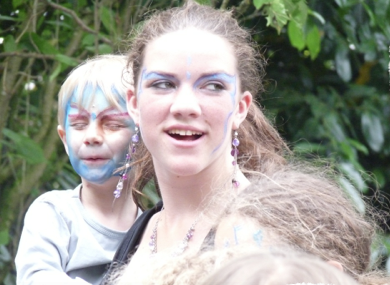 Because of the significant different ways high-able neurodiverse children, teenagers and adults experience their inner and outer world they are part of a minority and have to find a way to express themselves appropriately without losing their sense of self in a situation with people who experience the world in a different way. Often gifted children and teenagers and, maybe sometimes adults, do this by adapting apparently towards the norms and values of the majority group. On the face of it, these gifted individuals seem to have found a way to deal with their surroundings but often, because they don’t see themselves reflected in the overall ideas about life and society and they cannot express themselves they are not loyal to themselves. This can have considerate effects like losing their sense of self and intrinsic motivation which creates an enormous inner turmoil. This can have unwanted consequences and can lead towards serious (existential) depression or eating disorders among teenagers for which gifted teenagers are extra prone anyway. This enormous ability for deep experiences can in this case, if not handled well, feel like an enormous disadvantage and can often make it difficult for the direct loving environment to react appropriately to them, but those experiences can also be seen as a motor for further personal growth, which can change perspectives. Humans are partly defined by their developed adaptive behaviour selected through evolutionary processes. They don’t embrace difference or strangers, to protect their own kind. This could explain the attitude towards gifted persons because people want to conserve current achievements. Persson (2009) proposes three kinds of societal functions of giftedness: societal maintenance, executed by nerds; societal entertainment, performed by heroes and superstars who allow us to drift off from reality; and last societal change that could be executed by charismatic people with potential to achieve societal change from a deep-felt concern with humanity, known in history as martyrs. Societal maintenance is a necessity and nowadays highly appreciated in society. Pop stars and film stars are the new gods in this global society and are highly worshipped, but those who have the potential to achieve societal change and are persuasive idealists are often stigmatised and marginalised. How do we react to our future Saviours? More than ever this world needs people with bright brains and lots of creative and innovative out of the box thinking and imagination to find solutions for the serious problems that currently challenges humankind, like global warming, poverty, drought, the cost of food, water and warmth, etc. We can make a difference, by stimulating the gifted and talented children and teenagers to develop their potential, to appreciate their potential despite the fact we might experience their behaviour sometimes as threatening for current norms and values. Let’s try to remember that we do not know what we are preparing them for, the world is changing so fast it may be that the criticising teenager has a more realistic view on what is valuable to learn for the future then we have, at least let’s try to see them as a partner in their own education. Get knowledge about how fast the world changes by looking at the video “Did you know’. The value of IQ seems to be based on the assumption that scholastic achievement is predicting success in life and the assumption that scholastic skills, as they are taught at the moment, are important for succeeding in life however research suggests that scholastic achievement does not necessarily lead to success in life. The school was the solution for factory owners who since the onset of industrialisation were in need of more skilled workers. To deliver skilled and reliable workers, operatives and employees, the government’s educational department puts emphasis in school on practical skills like being on time, accepting long hours of mind boring activity and learning just enough information to deal with certain machines, and read and calculate enough, but not too much, so the establishment wasn’t questioned. Maybe nowadays there is still a hidden curriculum preparing our children towards a not anymore existing society. 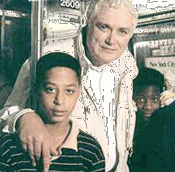 John Taylor Gatto (2002) described the hidden curriculum in his controversial lecture given on the occasion of being named “New York State Teacher of the Year” for 1991. One can’t hide: Children must be closely watched if you want to keep society under tight central control. Gatto (2002) emphasised that those lessons at school prevent children from learning lessons in self-motivation, perseverance, self-reliance, courage, dignity, and love – and lessons in service to others which are among the key lessons of home and community life. In the more than ever-changing society, challenged by extreme problems like the oil crisis, climate change, globalisation, poverty, it is maybe important to step away from the educational basics as they were formed in the early 1900s. We can make a difference by trying to prepare children and teenagers for an unknown future the best way we can, by offering them the necessary skills to adapt to an ever-changing world.